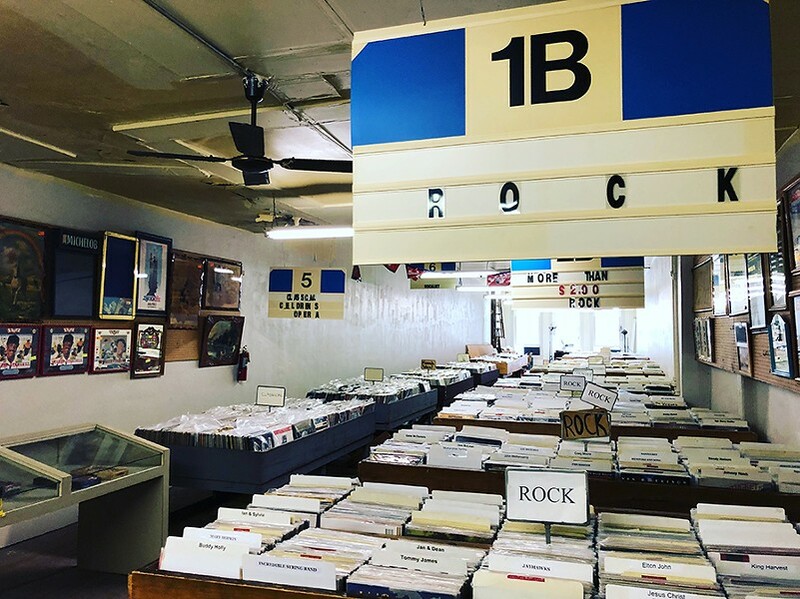 Will the music finally stop at one of the state's oldest record stores? It's a balmy May morning and the streets of downtown Springfield are quiet save for a stretch of Adams Street near the Old State Capitol. For more than a block, the sounds of Bob Dylan's "The Times They Are A-Changin" can be heard blaring from speakers perched against the screen windows on the second floor of Springfield Furniture and Recycled Records. Dylan's 1964 album—one of nearly 30,000 vinyl LPs packed into this record and antique store—is a fitting soundtrack. This is an uncertain time for a storefront that seems to have remained frozen in time—or more accurately, covered in dust—for several decades. Brothers Mark and Gary Kessler, the co-owners, are trying to sell the well-worn shop their maternal grandparents, Joe and Ida Katz, originally established as a furniture store in 1910 and their parents, Bill and Grace Kessler, passed on to them. 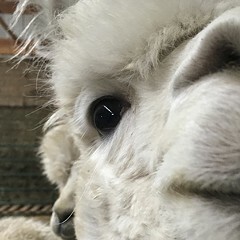 It's a matter of wanting to take a break from the daily rigors of running a small business, says Mark, the elder brother. "When I turned 70 last November, I decided I wanted to relax a bit," Mark says as he leans his elbows against a glass counter filled with old cassette tapes. In his plaid shirt, jeans, and thick-framed glasses he fits right in with his clientele. "I just want to be able to take a three-week vacation with my wife and not have to worry about being in charge of everything." Mark has been at the store since 1978, the year he returned to central Illinois to work in the family business after a decade in Chicago. His first and most successful experiment was improvising a music section at the furniture store. He'd been a record hound at Val's Halla Records in Oak Park, and realized that the capital city had no equivalent. The vinyl area started small—800 records tucked away in a balcony on the second floor—but kept expanding as sales increased over the years. "We had a tie-dyed curtain that would divide the room between records and furniture overstock," Mark says. "We kept moving the curtain back to expand the record section until it reached the end, and then eventually the curtain came down and we took over the whole upstairs." There are an estimated 25,000 to 30,000 vinyl records on the second floor of Recycled Records. 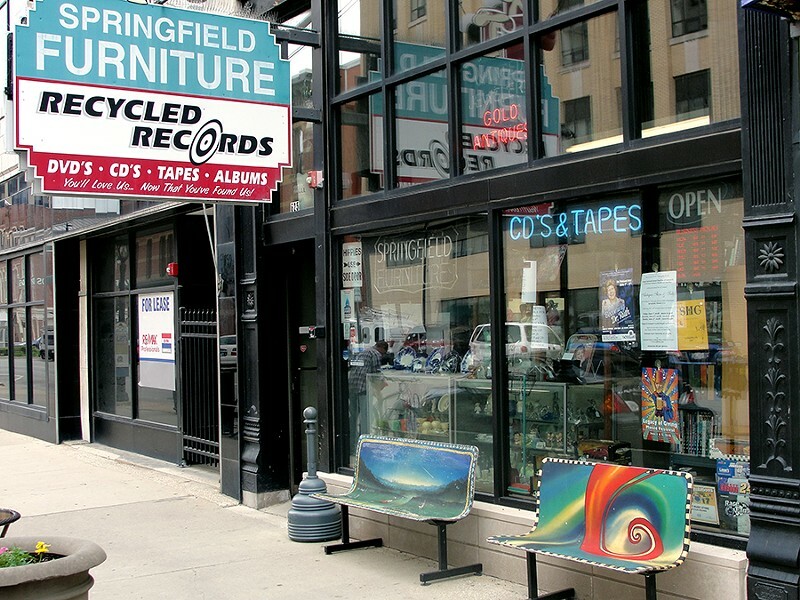 The store's marquee still reads Springfield Furniture, but today there isn't much furniture to be found, unless you count turntables and stereo equipment. The first floor does hold some accessories and knickknacks: costume jewelry, neon beer signs, German beer steins, early 20th-century postcards, vintage Playboys and comic books. These days nearly every box, shelf, and nook and cranny in the store has been taken over by music and related paraphernalia. There are more than 5,000 CDs and a clutch of eight-tracks and cassette tapes, but the vast majority of the collection—between 25,000 and 30,000 LPs and 45s—is classic vinyl. The format has become trendy again in recent years, but it's not that for the Kesslers—they just stubbornly held on to their favorite format until it happened to become cool again. "I think the smartest thing we did was we kept buying vinyl from people in the 80s and 90s when everyone was dumping it," says Mark. "It could have been a huge mistake, but eventually it paid off. We didn't know we were right until about five years ago." Walk up a set of creaky stairs (labeled "Stairway to Heaven") in the back of the store to the second floor and you'll find row upon row of massive crates, most arranged by genre. You can easily track down the best sellers—especially classic rock, country, and jazz ("We probably sell more country and bluegrass than you do in Chicago," Mark says) or hunt for hidden gems and obscurities: old comedy albums, recordings of presidential speeches, even much-sought-after collectors' items. "I just sold a first pressing of Sun Ra's first album that came with a special booklet for $900," Mark says. "This guy passing through town had never seen it before and was like, 'Wow, you've got an incredible jazz collection.'" Much of the vinyl is also dirt cheap. Even albums in excellent condition often go for $2. 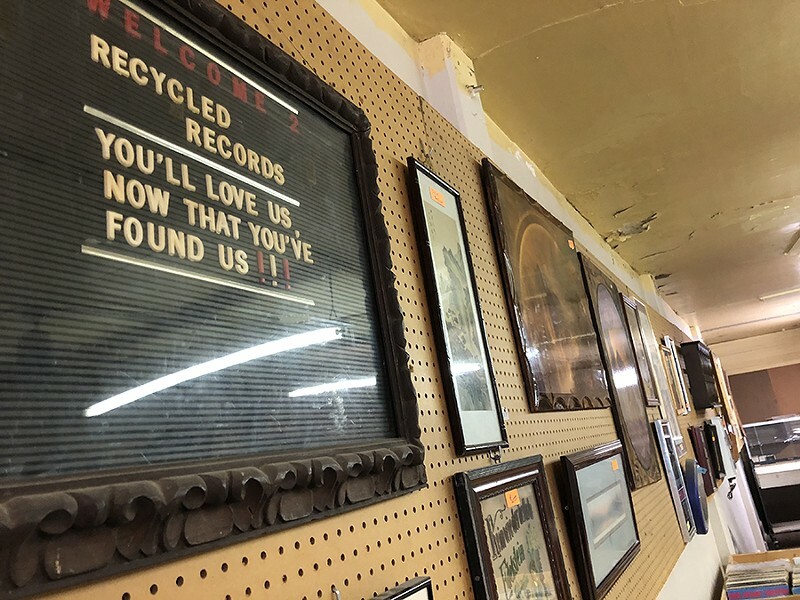 "If someone buys this place, the first thing a new owner will do is probably triple the prices," a gray-haired Recycled Records employee tells an inquisitive customer asking about the potential sale. The Kesslers say low prices and personalized attention to customers (in contrast to the service, or lack thereof, at the Best Buys and Amazons of the world) have helped them survive the ups and downs of the retail industry over the past four decades. 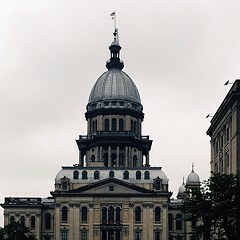 They draw audiophiles from throughout Illinois and beyond. "I go out and have a beer with some of my regulars," says Mark. But now the Kesslers are ready to flip over to the B sides of their lives and divest themselves of the family business—preferably selling to an entrepreneur who wants to keep the store more or less intact. 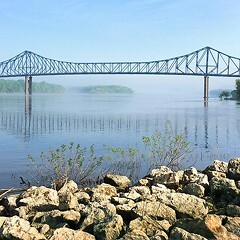 "I don't want to be conceited, but I think this place is good for the community, and it's been here forever," Mark says. "A lot of people tell us, 'You can't close!' And I say, 'It's the last thing I want to do, and it would be heartbreaking, but will I do that? Yeah.'"